The Frenchman believes an increase in the number of participants at football’s showpiece event would be embraced by all concerned. He says only three days would be added to the schedule and that the event would reach a wider global audience. 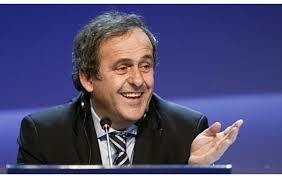 It is possible that Platini will soon be in a position to make such calls, with it expected that he will rival Sepp Blatter for the FIFA presidency in 2015. Platini agrees with Blatter’s recent call for more African representation on the World Cup stage, but feels a possible expansion could also benefit Asia, America and Europe. He told The Times: “It’s good for everybody. “I totally agree with Mr Blatter that we need more African and Asian (countries). But instead of taking away some European, we have to go to 40 teams in the World Cup. This entry was posted in Uncategorized and tagged football, italian. Bookmark the permalink.